So, basically, we’re left with two options: yes or no. I’m all about being fair, so I want to recognize the validity of each viewpoint. But first, we need to wrap our minds around the concept of anchoring. It’s going to be critical to the discussion. Let’s talk about price anchoring. This article asks a yes or no question, and then takes 2,300+ words to get around to an answer. But there’s some really important stuff that factors into the issue. Question: What is price anchoring? The subject of this blog isn’t just about B2B lead gen, even though that’s huge. The subject of this article also has to do with price anchoring. Price anchoring is a process of our cognition, in which our minds use an initial stated price to make a derivative purchase decision. The home is listed for $510,000. That number sticks in your mind. Price: anchored. You make an offer for $495,500. Seller comes back at $500,000. You accept, and feel awesome. You just saved yourself ten grand. You’re shopping for a cardigan. The price tag reads $45. You look at it, and consider. Price: anchored. Then, you see a yellow sticker on the price tag that says, “Reduced: $35.95.” You buy. You’re buying a used car. Kelley Blue Book says that the Mercedes should be worth $14,000. Price: anchored. Seller is offering it for $12,900. You think it’s a killer deal. This powerful pricing strategy tactic works when you utilize a price to give your customers a frame of reference for valuing your product. 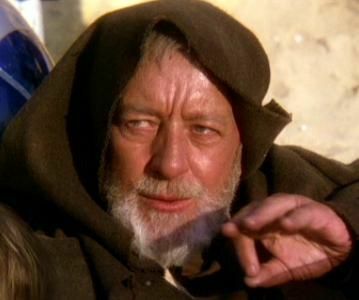 It often enables you to guide your customers to choose the exact product you want them to choose at the exact price you want them to buy, almost like a Jedi mind trick. Jedi mind trick? Well, maybe … But that’s the power of our minds, and the power of marketing to make our minds do weird things. And that’s price anchoring. My examples above, however, show price anchoring at work as a delusional cognitive technique in consumer pricing and purchasing. For expert insights on anchoring, check out Roger Dooley’s definitive treatment of the subject at Neuroscience Marketing. But what about the B2B world? Another Question: Does price anchoring as a cognitive technique work for B2B? So, we’ve circled back to our original question, and have a clearer concept of what’s going on. There’s this thing called price anchoring, in which the first price you see is the price you remember, and by which you judge all subsequent prices. You are a business selling to business. Can you use price anchoring as an effective technique for making more sales? B2B sales is still sales to humans. Just because you’re a B2B doesn’t mean that humans have somehow been excised from the equation. You still have cognition, human psychology, and the multifarious factors of decision-making to deal with. Do cognitive biases change, just because you’re B2B instead of B2C? Do you think that the B2B customer demands less? Aren’t trust and transparency in purchasing your B2B products and services just as important to B2B clients? His point, like mine, is that B2B sales is still sales to people. They’re not in the “consumer” category, per se, but they are still human beings. Thus, we need to keep our head screwed on about the things that really matter in sales and marketing. B2B purchases are often founded upon research. If there’s one thing that differentiates businesses purchases from consumer purchases it’s this — businesses aren’t impulse buyers. You’ve never heard a business opine, “The CRM software just jumped off the rack! I had to buy it!” Businesses have purchasing departments, not shopping sprees. So, businesses research their purchases, and what does that research reveal? Likely, it reveals to the purchasing department some ballpark pricing, i.e., what the general going rate is for the product or service they are seeking. Like it or not, then, a business purchaser has already succumbed to the price anchoring bias before he or she sees your product or price. Will displaying your price negatively or positively affect a purchase decision? If, on the one hand you display a lower price, she’ll spring for the bait, and you’ll gain a customer. If, on the other hand, your price is disturbingly high, she’ll click away and find someone else to buy from. If, on the other hand you display no price, she might become a lead. Argh, if only it were clearer! As I mentioned, I want to be fair to the yes-price-display crowd and the no-don’t-do-it crowd. So, let’s talk about the yeses and the nos. Yes, you should display your pricing. Let me share a few of the reasons why some B2B marketers think that price displaying is important. Displaying prices sets the industry standard for pricing. According to this line of thinking, it is advantageous to display prices, because you will create market leadership. If you display prices, you therefore get to set the prices. Then, the competition will have to respond. Furthermore, if you are the only market player displaying prices, then leads might be more likely to respond to your marketing efforts. Displaying prices weeds out those who aren’t willing or able to pay the price. If your goal is to sell products and services, then the people who buy it should be able to pony up the cash. If they see your price, and decide that they can’t, they’ll stay away. Fair enough. If they see your price, and decide that they can, then you’ve gained a lead. Bam. Displaying prices is simply a client courtesy. We want to be open and transparent. Why be secretive? Trust is crucial in B2B purchases, just as it is in B2C transactions. If the potential business client doesn’t trust you, they won’t buy from you. Simple as that. As the argument goes, price displaying sets the standard for trust and transparency. A lead is more likely. Shrouding anything, prices or otherwise, in a veil of secrecy leads only to diminished leads. Prospective customers want to know the price as their No. 1 info need on any website — including B2B sites, but these sites often hide or obscure pricing information. In numerous usability studies with business customers, we witness people getting frustrated and leaving sites that don’t show prices. ... Revealing price on your B2B website is one way to earn people’s trust. People view companies that show this key piece of information as being genuine and forthright. Transactions are more likely to occur when people feel educated about your offerings and trust your organization. Not showing pricing works against customer needs and thus introduces hostility into the research and shopping experience. Price is important. Address it. If we don’t display our prices, then clients might think it’s because we’re too expensive. According to this view, price-cloaking makes people think that the price must be really, really high. So, just put the price right out there in plain view instead of making people think it could be out of their reach. It’s kind of like those jewelry or wristwatch ads in fashion magazines. In small print, beneath a diamond-encrusted timepiece is the small print: “Inquire for pricing.” You know instantly that the watch you’re looking at costs a heckuvalot more than your car. Show your price if you don’t want to scare people away. These are valid arguments, and legitimate concerns. But what about the other side of the equation? No, you should not display your pricing. We want to distinguish ourselves, not by a raw price, but by top-tier service. We don’t display prices, because we create custom solutions. This argument is similar to the one above. You want your clients to feel that they’re getting a service tailored to their needs and adapted to their unique situation. You’re interested in their needs. Then, once you understand those needs, you share a solution. And, oh, that’s when the price is revealed. We might scare clients off with a high price tag. Don’t want to do that! If price anchoring is true, then why even share a price to begin with? In this view, a business does not display their price, because, well, they don’t want to lose a lead due to sticker shock. Might as well break that news to them easy, after they’ve really absorbed the value proposition. Sadly, you’re not going to read a clear “yes/no” answer from me on this one. Why? Marketing is more nuanced than that. It just depends! But I still want to give you a solution. It’s just not going to be an easy one. Here is what I want you to consider. 1. The answer depends on your product, service or industry. There is no right answer that applies to all companies across the board. For example, a hosting provider may have strict price tiers based on bandwidth, speed and other features. There’s no negotiation. You obviously want to reveal your price. Other companies may have a complex service that requires a lot of explanation and possible adjustment. Sales teams are given permission to adjust pricing according to client budgets and needs. For such a company, displaying prices would be ludicrous. To really begin homing in on an answer to this question, you need to understand your industry, your clients, and what works best. 2. To really find out, you need to test it. By far the best way to make a decision is to test. Admittedly, it’s a bit hard to test things like this. If you are able to test it, though, I highly recommend it. If you’re exceptionally conflicted, and there is no clear industry answer or research-based hints, then try a test. Displaying prices isn’t an all-or-nothing proposition. If you want to, you can display some of your prices. This works for B2Bs that provide some sort of plan-based service, often on a recurring monthly basis. SaaS, SEO, or proprietary CMS providers are a few examples of businesses that may want to display a threshold price. For example, you can display: “Plans starting at $2,499 a month.” Doing so gives you the advantage of weeding out customers who are looking for something less valuable. The downside, of course, is that you lose the psychological value of price anchoring. If plans start at $2,499 a month, then they can only go up from there. You’ve lost the low-anchor power play. 4. Price isn’t the most important thing. Value is. This brings me to my most important point. Although I’m spending a lot of time talking about displaying price, I want to redirect your attention away from price and onto value. The two are not the same. Price is the dollars and cents that will be remitted in the event of a transaction. Value, on the other hand, encompasses so much more. “Value” extends to the relationship, the return on investment, the potential, the increase in satisfaction, the excitement of progress and advancement, the improvement in sales, efficiency, etc. Whether you display your price becomes irrelevant as long as you are making an incredibly strong value pitch. In my testing, what I’ve discovered is that many B2Bs do experience a drop in lead gen when the price is displayed. But most of the time, it’s because there is no clear value proposition. Make your value proposition as loud, clear, powerful, and compelling as possible. Then, make your best guess as to whether price display will help or hurt leads. Chances are, it’s not going to matter that much.